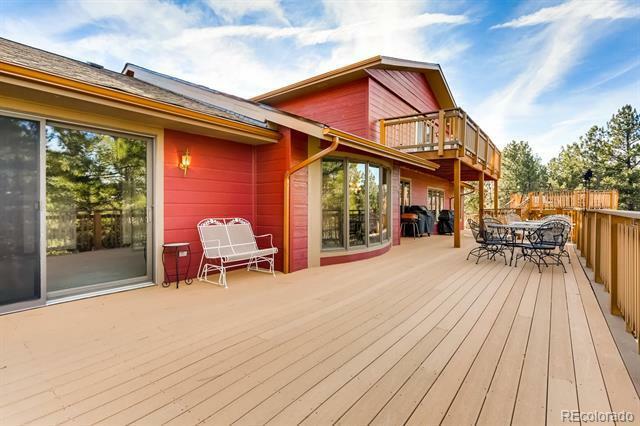 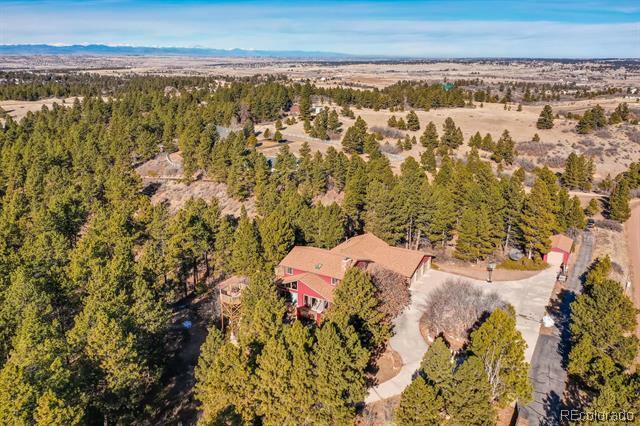 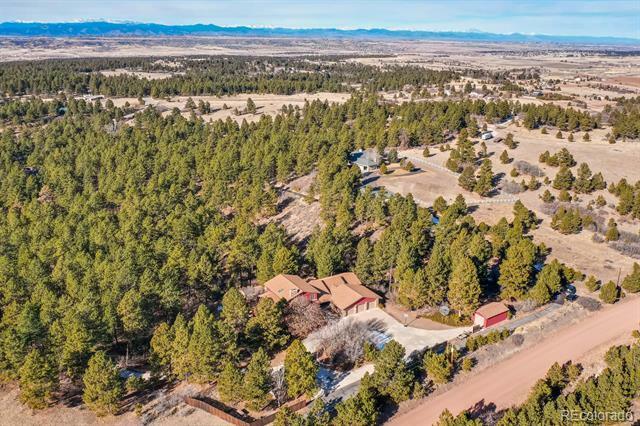 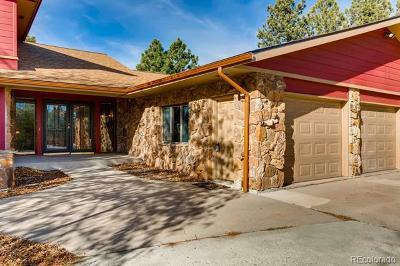 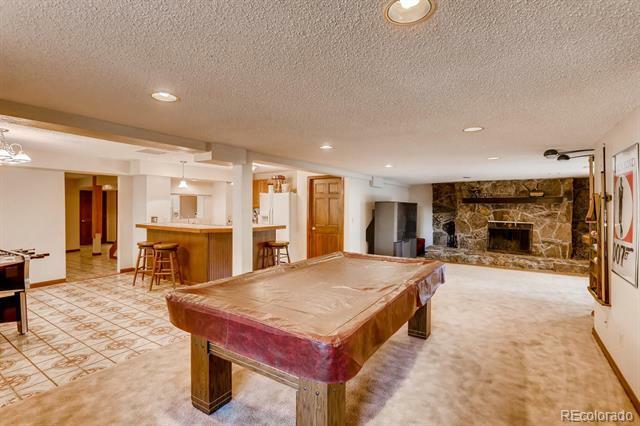 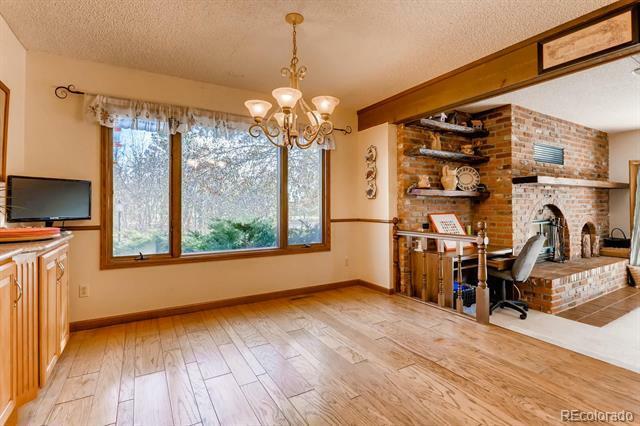 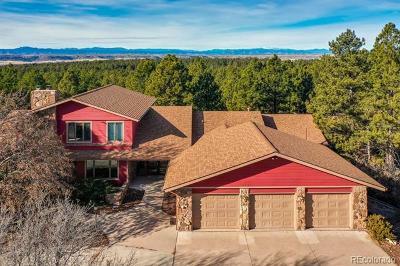 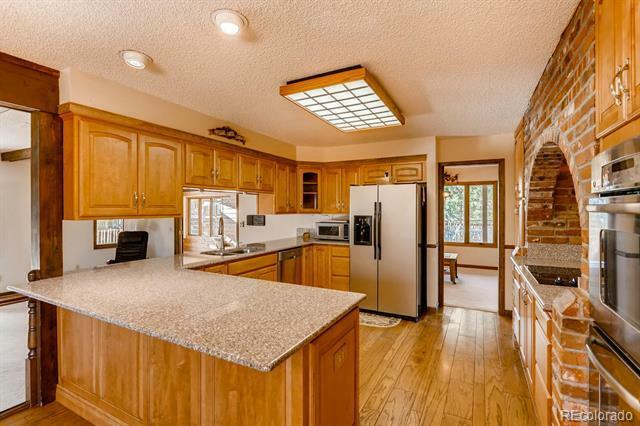 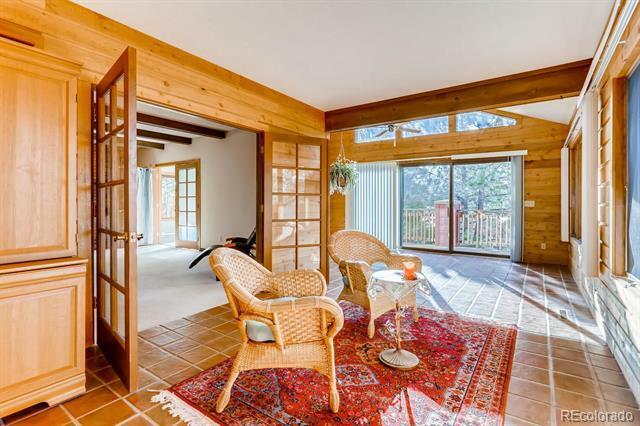 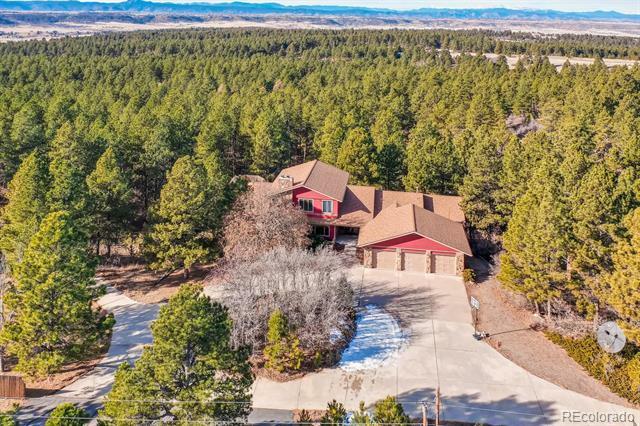 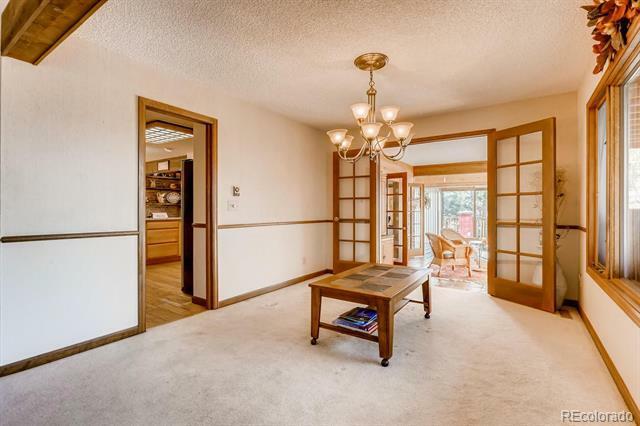 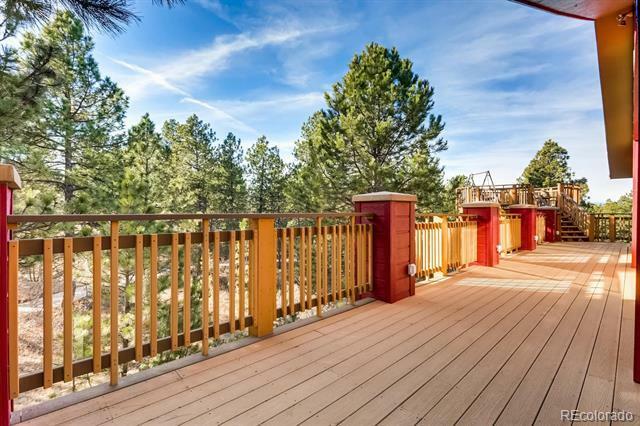 Wonderful Colorado Living in a 6000+ sqft custom home on 5+ fully wooded acres. 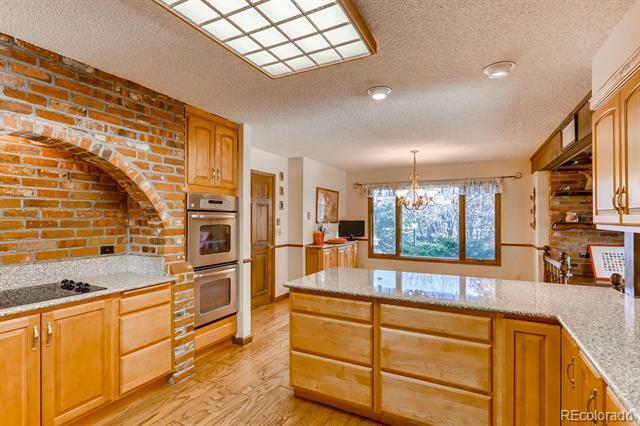 Lots of windows with views near and far, 3 fireplaces, skylights throughout, and an updated gourmet kitchen. 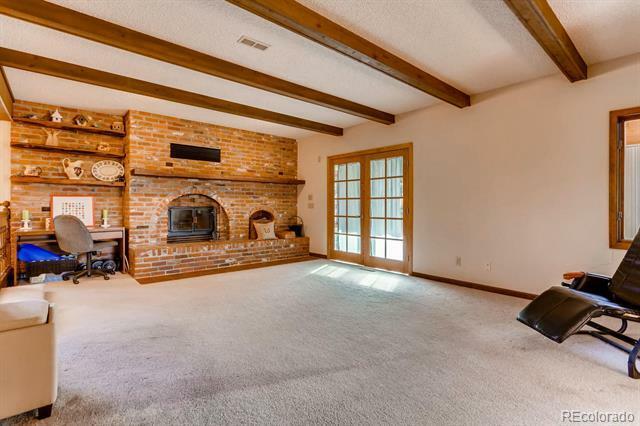 Huge Master suite with fireplace, retreat and 3 master walk-in closets. 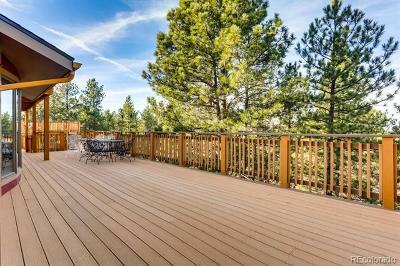 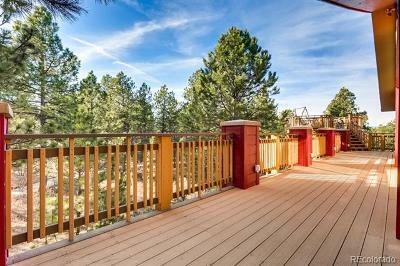 2000 sqft of wrap around deck for Entertaining and Quiet Mornings. Long paved driveway and mature trees ensure your privacy. Elevated viewing deck for Mountain, Stars and wildlife.